Metallization is a critical processing step in Silicon solar cell manufacturing. Typically, cells are metalized by a rapid thermal cycle in an IR belt furnace. For proper yield, it is critical to maintain the wafer thermal profile within tight tolerances. In this paper, a user friendly profiling unit, namely, e-Clipse is introduced. 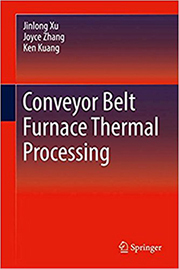 The thermal profile of the wafer is measured with K-type thermocouples at four locations. The frame design allows the thermocouples to make intimate contact with the wafer without any bonding material. For profiling, the e-Clipse and the SunKIC datalogger are sent through the furnace to record the thermoelectric response. The recorded data is analyzed for key properties such as peak temperature, heating and cooling rates.